Paint Spatters: Registration is open at Digital Art Academy! Registration is open at Digital Art Academy! Registration is now open for the January 2012 session at Digital Art Academy (DAA). The first session of the year begins on January 28 and ends on Feb 24. DAA classes focus on Corel Painter, specifically Painter 12, but there are also a few self-study courses for Painter 11 which are active. 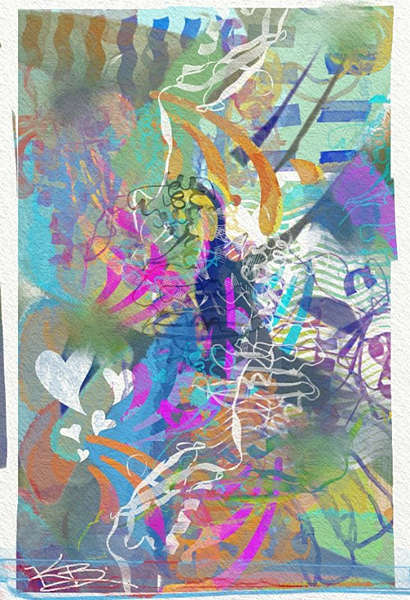 Start your New Year off by exploring the wonderful world of Corel Painter. Detailed information is available at DAA; however, below is a brief synopsis of the current offerings (beginning naturally with my own classes ;) ). If you are brand new to Painter 12 or are an experienced user who would like a refresher course, then my Introduction to Painter12 Part 1 and Introduction to Painter 12 Part 2 are the classes which will start you off on the right foot. I've been teaching beginner classes for Corel Painter for several years now, and my goal is to try and present the material in a clear, concise and non-threatening way. The classes are very detailed with lots of screen shots, and are primarily offered in PDF format since this gives the beginner material which they can refer back to when necessary. Using Corel Painter requires a good foundation, and I'm always thrilled when I know I've helped a new user embark on this creative lifelong journey which is called Corel Painter. Some very exciting news! There is a new instructor at DAA. Her name is Joan Hamilton, and she paints the most beautiful watercolors. 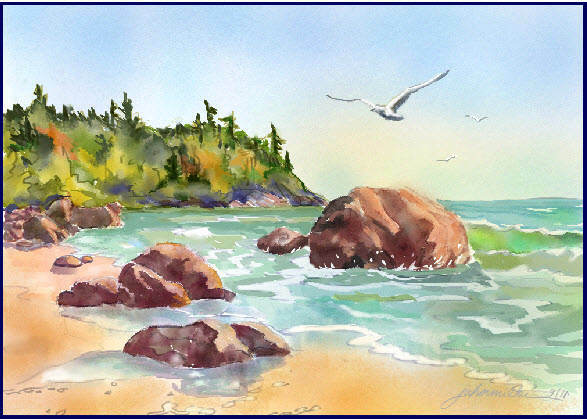 Joan will be teaching some of her techniques in this new class, and if you are a fan of watercolor, especially when created digitally using Corel Painter, then this class is not to be missed. If you want to see samples of Joan's beautiful work, visit her blog. You'll be glad you did. Corel Painter Master Karen Bonaker offers a class using the new 3.5 version of Art Rage Pro. Karen is an accomplished water colorist, and a very creative artist. In her class you will learn how to use the watercolor brush category in Art Rage Studio Pro 3.5, how to make watercolor brushes, and last but not least, what’s new in Art Rage Studio Pro 3.5. In addition to video lessons, Karen also holds live session Webinars each week. Art Rage Pro is a very versatile and inexpensive painting program, and Karen will show you how to use many of the program tools effectively. Corel Painter Master Skip Allen continues to provide DAA with his wonderful classes. Skip's teaching style is very relaxed and his approach is very creative too. If you have just upgraded to Painter 12, or are thinking about doing so and you have a good working knowledge of Painter X and/or Painter 11, consider enrolling in Skip Allen's Painter 12: A New Beginning class. Skip designed this class for the experienced Corel Painter user who is new to Painter 12. Discover the delights and mysteries of Corel Painter 12 in four short weeks. If you love the look of Watercolor paintings, but don't know where to begin, Skip's "The Basics of Watercolor in Corel Painter 12", is being offered again this session. In this class, Skip focuses on Painter 12 and the new watercolor variants, Real Watercolor. Also available this session is Skip's popular The Basics of Brush Making in Painter 12. This class takes the mystique out of brush making in Painter 12. It is a basic course and doesn’t cover everything, but the student will develop a firm foundation in the techniques of brush making. As you can see, DAA has something for almost everyone. Come join us as we embark on another year of learning, exploration, creativity, and fun.